New home design trends are here for 2019. 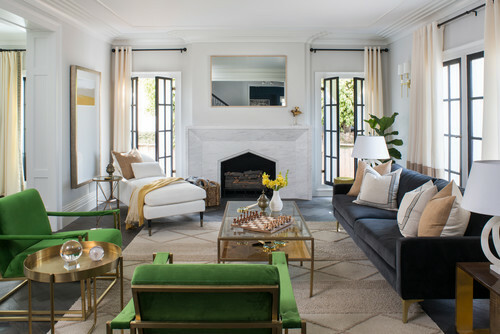 Homeowners across the country are finding out what items still maintain their popularity and which ones they will need to update to keep their homes looking modern and beautiful. Here is a list of top home design trends for this year that you’ll want to incorporate into your home before you sell. Bold shades are in for 2019. Pantone’s Color of the Year is vivid “Living Coral” hue. 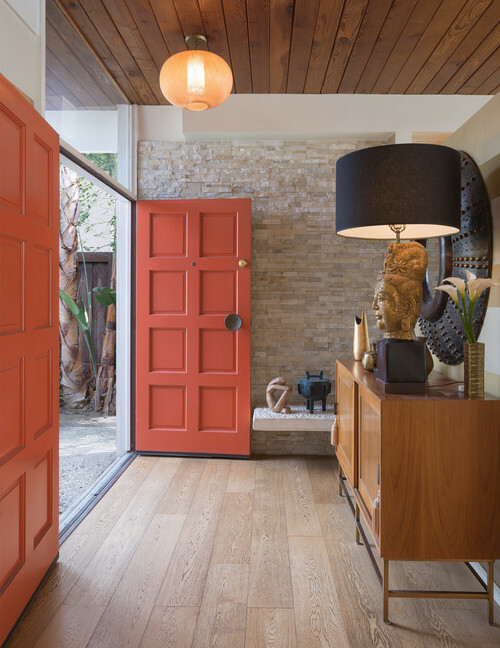 How about brightening up your entry way by painting your front door this bold color? You’ll also see a ton of bright blues, bronzes and all shades of green this year. Be prepared to see home furnishings and consumer goods pushing these colors. 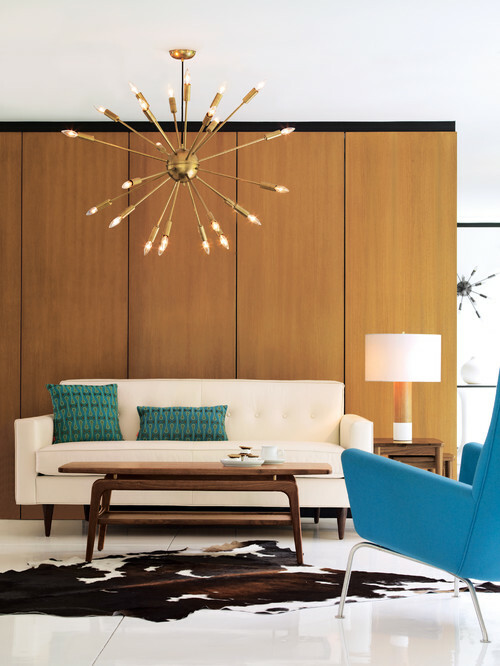 Modern twists on 70’s furnishings should be big this year with warm color palettes and soft textures. 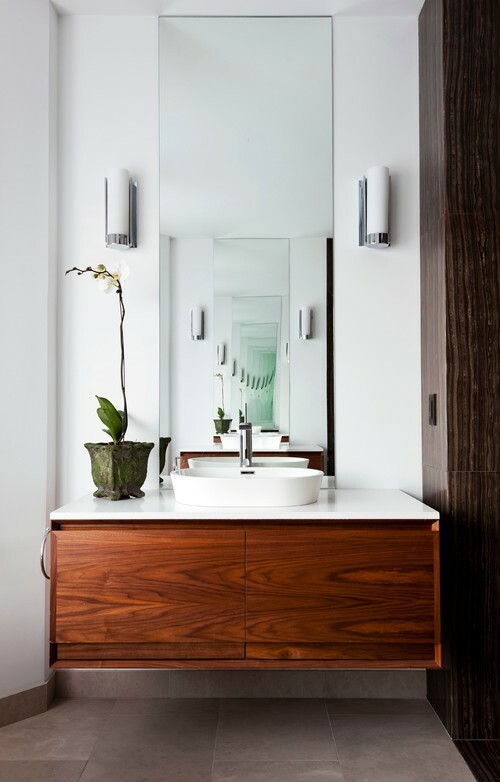 Wood will be featured everywhere including bathroom vanities. This home design trend will feature unpainted wood surfaces where the grain and texture of the wood becomes a focal point in the room. We are still riding the wave of minimalist interior furnishings that was started years ago. The “less is more” attitude will feature more multifunctional spaces that offer the ultimate functionality. Many homeowners will look toward multifunctional home pieces to add to their bedrooms, guest rooms and office spaces such as Murphy beds and ottomans. Velvet is back in a big way this year. This old-school trend continues from 2018 and adds a sense of luxury and class to any room. We’ve seen numerous designers producing seating in bold velvet colors to add spice to otherwise neutral rooms. Brass is a trend that continues to gain popularity. 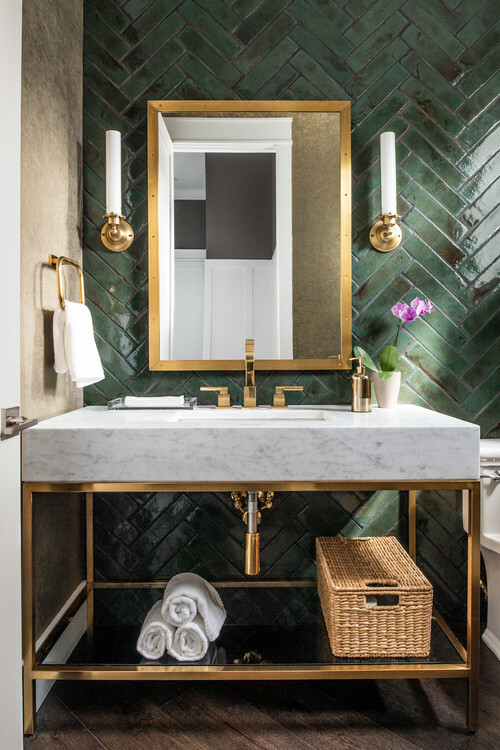 Forget chrome and stainless steel fittings – brass is the new accent of choice, providing a rich look to any room. Backsplashes in prominent designs and bold colors are turning kitchens into interior design statements. Patterned backsplashes add dimensional depth to the space. This trend goes alongside people selecting darker matte black and seasoned bronzed finishes for their kitchen faucets and cabinet handles. If geometric shapes and patterns don’t suite your preferences, then you can select floral patterns. 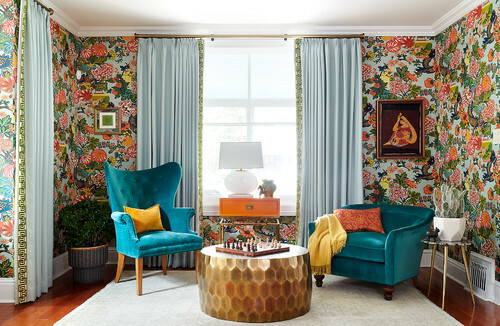 This 2019 home design trend will be popular for wallpapers and fabrics. Shelving made of glass, wood and metal will be in style this year versus traditional closed kitchen cabinets. 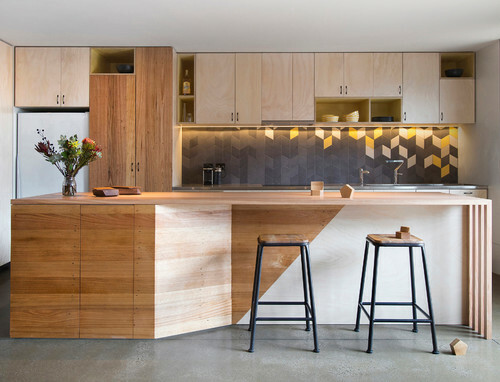 Owners still want open plan kitchen designs, and shelves complement this look. There is also an ongoing trend towards showcasing your pans, spices and shelf-stable ingredients. Whether its paint choice, lights, mirrors, side tables or sofas, making a statement with your interior design choices is crucial in 2019. Forget white walls and grey furniture. The more colorful and eclectic your choices, the more on trend your home will be. 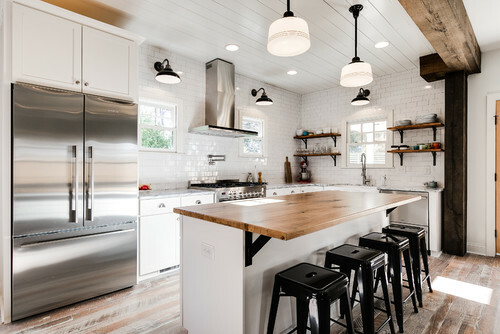 Homeowners who are thinking about placing their properties up for sale this year may consider using these 2019 design trends in their renovation projects. Your listing photos will stand out, and you will have an easier time attracting buyers who want modern interiors.